The State of California, Department of Transportation (Caltrans) established the California Pavement Preservation Center (CP2C) at California State University, Chico in July 2006 and fully funded the Center in January 2007. Dr. Hicks came on board in February 2007 as the Technical Director. In January 2009, Dr. Hicks stepped down and Dr. Mary Stroup-Gardiner was hired as the Technical Director. She stepped down in December 2009. 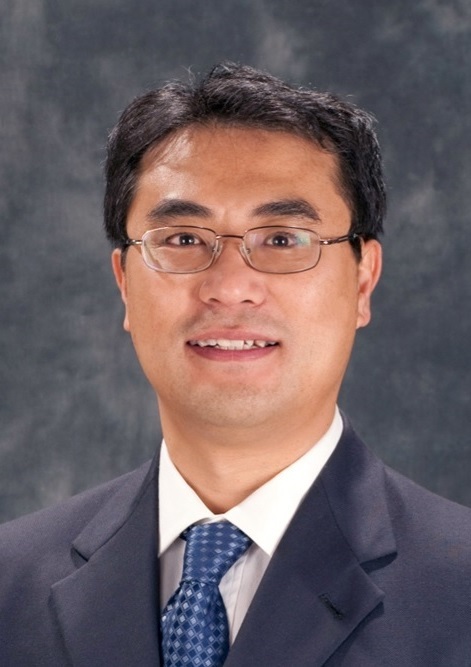 Dr. DingXin Cheng has been the Director of the Pavement Preservation Center since 2010. The Center works closely with the Pavement Preservation Task Group (PPTG), a statewide volunteer group consisting of members from Caltrans, the Federal Highway Administration (FHWA) industry, various public agencies, and academia to help promote pavement cost-effective preservation. The PPTG is a partnering platform that includes all the organizations involved in pavement preservation in California. The mission of the Center is to serve as a leader in a partnered effort between government, industry and academia to advance and improve pavement preservation practices through education, innovation, applied and practical research, technology transfer, and implementation. Providing advice and assistance to others in establishing a pavement preservation program. One of the stated goals of the Caltrans Pavement Program Steering Committee (PPSC) for 2006 was to establish a pavement preservation center. This center addresses critical pavement preservation issues, as well as asset and pavement management needs. There is an essential need to focus on pavement preservation to conserve the existing highway infrastructure and to proactively increase its longevity, serviceability and safety. The Center addresses the goals of preservation, safety, service and innovation. It provides essential guidance to the Department and the Division of Maintenance to support the goals of Caltrans 5-Year Maintenance Plan as required by Senate Bill (SB) 1098. This is in line with the Program Level-Action Plan (PLAP) strategic goals. The needed assistance includes providing technical bases for the use of appropriate pavement preservation strategies that can result in extending pavement life (SHOPP avoidance), and in determining the optimum timing and efficiency of strategies, as well as provide effective cost control methods and sound asset management. The Center promotes partnerships and strengthens the Department's goals in pursing ways to enhance safety and stewardship. Caltrans officially announced the opening of the California Pavement Preservation Center, to be located at California State University, Chico, at the Annual Meeting of AEMA-ISSA-ARRA in Palm Springs February 2006. 6) credible technical advice and consultation on pavement preservation issues. The purpose of the Center is to provide pavement preservation services to public agencies and industry. Unique services include developing educational programs in pavement preservation, providing training and staff development opportunities, providing needed technical assistance to public agencies and industry, and managing/conducting research and outreach assistance. The Center works closely with the Pavement Preservation Task Group (PPTG), a statewide volunteer group consisting of members from Caltrans, the Federal Highway Administration (FHWA), industry, various public agencies, and academia to help promote pavement cost-effective preservation. The Center also is a member of the Rocky Mountain West Pavement Preservation Partnership (RMWPPP) and works with the National Center for Pavement Preservation (NCPP) on special projects. The Asphalt Pavement Analyzer can study the rutting potential, moisture susceptibility, and compare fatigue characteristics of asphalt concrete and their surface treatments. The 4-point beam fatigue test is used to evaluate the long term performance of Hot Mix Asphalt under repeated load conditions. CP2 Center is purchasing an asphalt concrete laboratory slab compactor from James Cox and Sons. The conference was held on April 3-5, 2010. All presentations are available on the conference website.